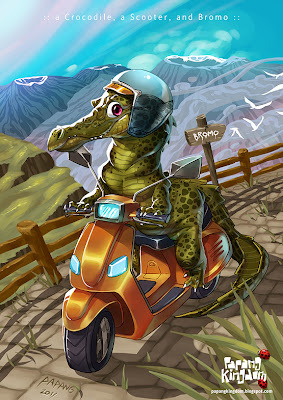 a Crocodile, a Scooter, and Bromo. Bromo is an active mountain in my country, located in my province: East Java. The scenery is sooo beautiful here. You have to go there when you visit Indonesia. Thanks for visiting my blog.